Welcome to the DIY DEN plan catalog page. We will offer a variety of Plans / Blueprints that represent the very best in professionally generated 3D CAD plans for the DIYer/ home constructor. Your satisfaction is of paramount importance. Below is a list of the products we currently feature. 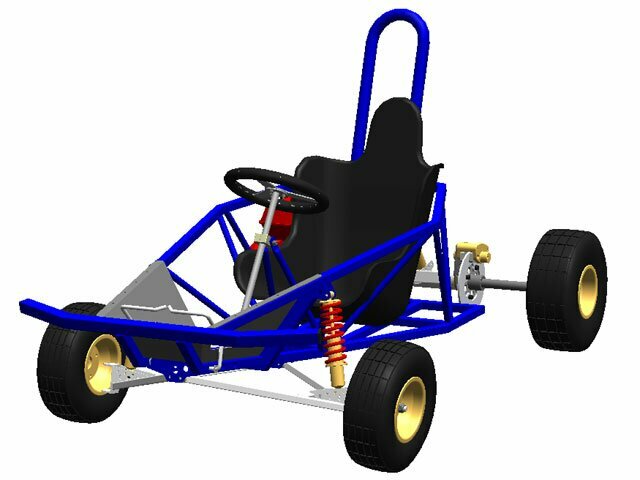 This is not a competition racing machine but a fun / yard go kart, with all aspects of safety, durability, and performance taken into account. 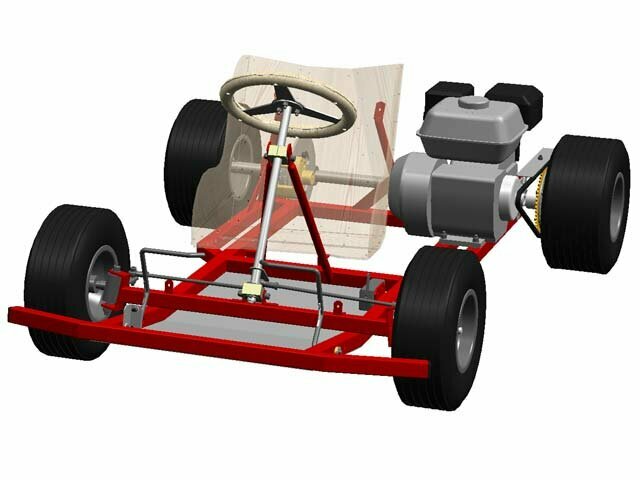 YARD DAWG go kart plans are available for download. The passwords will be e-mailed to you usually within 24 hours from when payment is received. Payment may be made by either International Bank Cheque, International Money Order, or securely over the web with Paypal. This is a rally kart / mini off road buggy based on the formula fun racing rules, It can be raced, or just built for off road cruising. It is a full suspension kart with wishbones up front and a swingaxle at the rear. DIRT DEVIL buggy plans are available for download, The passwords will be e-mailed to you usually within 24 hours from when payment is received. This is a ATV/ off road quad bike based on the existing suspension standard for these type of machines. ie. double A-arm front suspension, Swingarm rear with live axle, It can be raced, or just built for off road cruising. It is a full suspension ATV with wishbones up front and a swingaxle at the rear. It is ideal for recycling an old motorcycle as many parts may be reused from the donor- Engine, brakes sprockets, fuel tank etc. BUZZARD ATV plans are available for download, The passwords will be e-mailed to you usually within 24 hours from when payment is received.